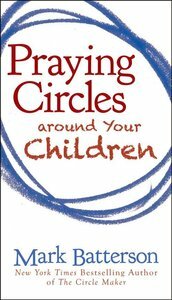 About "Praying Circles Around Your Children"
Mark Batterson shares a perfect blend of biblical yet practical advice that will revolutionize your prayer life by giving you a new vocabulary and a new methodology. You'll see how prayer is your secret weapon. Through stories of parents just like you, Batterson shares five prayer circles that will not only help you pray for your kids, but also pray through your kids. Batterson teaches about how to create prayer lists unique to your family, claim God-inspired promises for your children, turn your family circle into a prayer circle, and discover your child's life themes. And he not only tells you how, he illustrates why. As Batterson says, ?I realize that not everyone inherited a prayer legacy like I did, but you can leave a legacy for generations to come. Your prayers have the power to shape the destiny of your children and your children's children. It's time to start circling. ?